Though you’ve no doubt already started planning your fall 2015 wedding, you may want to consider incorporating some of these hot bridal trends into your special day! From elegant off-the-shoulder dresses to locally-sourced catering, Hollywood Banquet Hall has collected the season’s most popular wedding features! 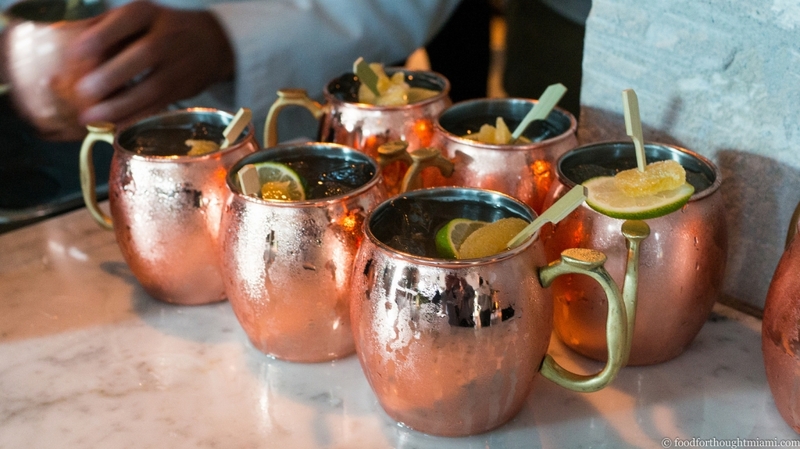 Mason Jars Are Out, Copper Mugs Are In! While 2014 was marked by old-fashioned, D.I.Y decorations like mason jars and hand-painted signs, 2015 is the year of sophistication and modern luxury. Opulent features like champagne fountains, dramatic multi-tiered cakes, and elaborate wedding venues are back in style, and couples are pairing these luxurious amenities with clean color palettes, geometric patterns, and copper accent pieces (like the above-pictured copper mugs). Though white will never go out of style, pastel wedding dresses (like the one above from Watters Bridal) are becoming popular with Los Angeles’ more fashion-forward brides. 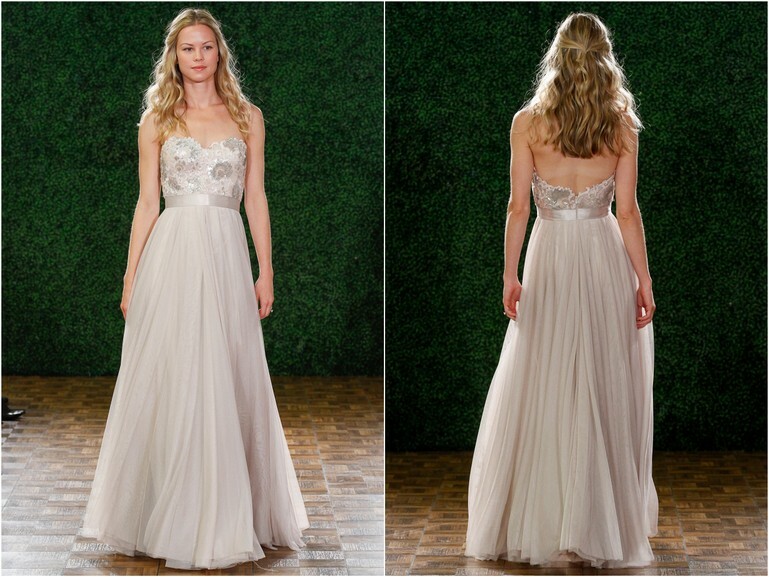 We expect fall weddings to feature off-the-shoulder styles, plunging necklines, and thigh-high splits as well. As Americans gets more health-conscious, foodie couples are becoming more aware of where their wedding reception food is coming from and how it’s being prepared. For Fall 2015 weddings, more emphasis will be placed on “farm-to-table” cuisine and “locally-sourced” meats, fruits, vegetables, and dairy products. Family-style dining—that is, where large platters of food are delivered to each table— is also becoming more popular, and hosts like the conversations that occur over beautifully-plated appetizers, entrees, and desserts. 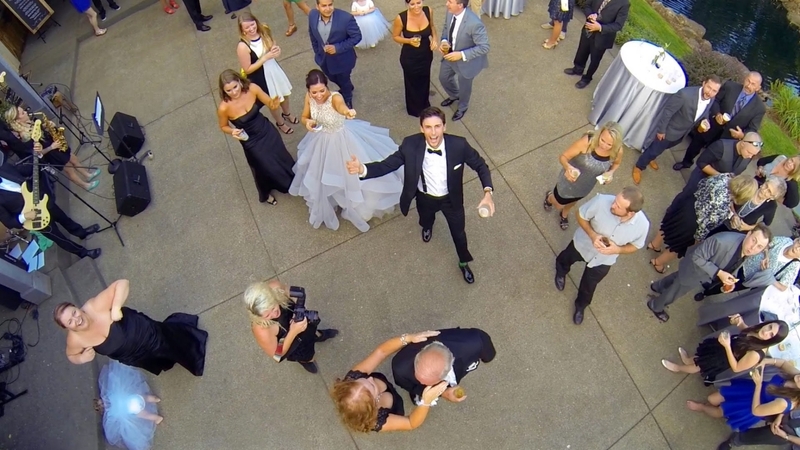 Drone Photography Is The Hottest Trend in Wedding Photos! The latest in wedding photography, camera-equipped drones can now capture every angle of a wedding and film so stunning overhead fly-by shots of your nuptials and wedding reception. For a more intimate, POV experience, many videographers are also using small, wearable cameras like GoPros to capture all the action up close! 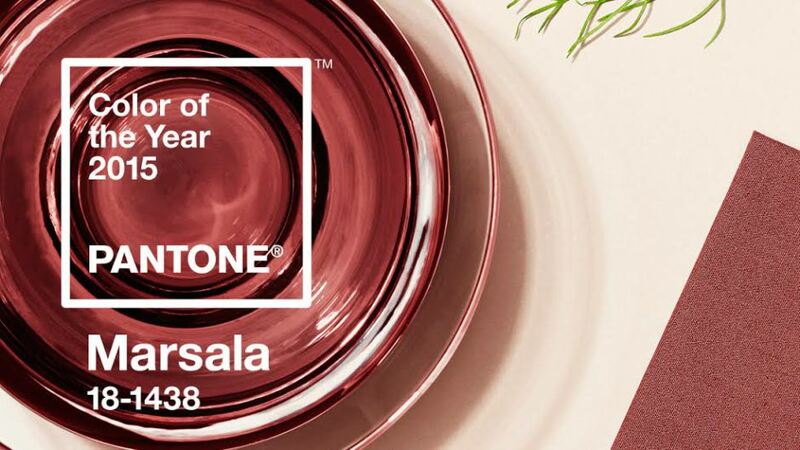 Put the soft pastels and bright pops of pink and yellow to bed; this fall, Pantone’s Color of the Year, Marsala, will come into it’s own. Already an autumn shade, Marsala will be paired with lights blues, creams, and rose gold accents for a sophisticated and stylish palette that will agree with almost any bride’s taste. 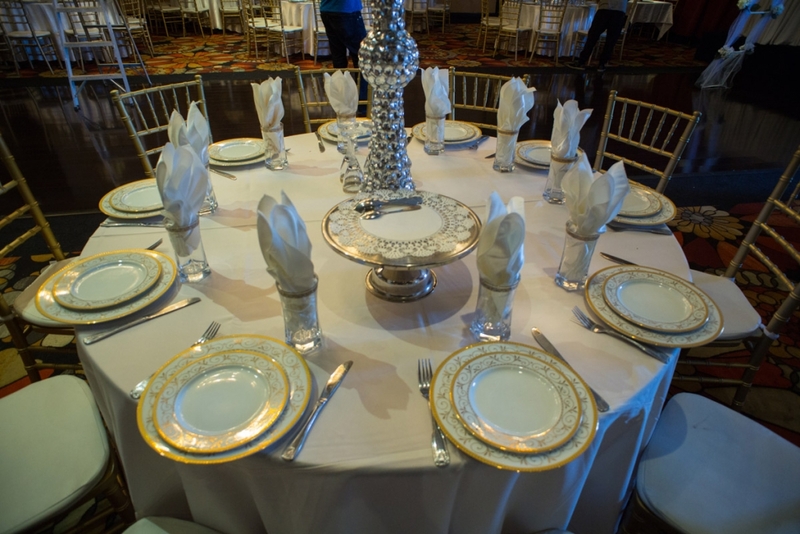 For more wedding trends or for help planning your Big Day, contact Hollywood Banquet Hall today! Our expert coordinators are always on hand to give helpful advice for making your dream a reality.